Before 2015, a huge portion of the tech industry has paid a large amount of money to start their own research with AI or artificial intelligence. These tech companies are related to a broad list of other industries that are related to tech via the use of different technologies. There’s telecommunication, commercial appliances and machines, and of course education and the arts. Artificial intelligence isn’t only about being taught how to make art but also is being taught on how to aid human artists better. The company leading the charge on making AI the most intelligent and powerful tool artists can have is Adobe. With over thousands of artists in the world as their customers, Adobe Inc, with its multimedia products and services, has created a monopoly where no other company can truly match them. Their power comes from the fame of Photoshop, an image editing program designed by the Knoll brothers, who eventually sold their distribution rights of the program to Adobe. The reason that Photoshop became a huge hit was that proper image editing at the time needed powerful and high-end computers, and Photoshop provided a less pricey alternative to image editing. So much so that the art when it comes to photo editing in 1990 was laughable when compared to what we have today, thanks to the impact of Photoshop. Adobe capitalized on Photoshop’s success. Most of Photoshop users are professional photographers and artists, though the program is easy enough to understand to be used by practically everyone. So in 2003, they released the Creative Suite, which contained applications for basically every multimedia editing needs. These applications include Photoshop, Dreamweaver, Illustrator and InDesign. These four tools gave artists the power to expand their expertise and set of skills, from taking pictures and drawing artworks to designing even the web pages they’ll be used on. Eventually, as the Internet became more accessible, they changed their business model with the final release of Creative Suite being CS6 and announced that they would switch to a cloud-based model called Creative Cloud. A lot of users agreed, though a lot didn’t as well, to this move by Adobe. What they have now is a centralized application with thousands of user data passing through their servers. And from that, and user feedback, they saw that there’s a need for a smarter way to support their users. This is where their artificial intelligence research came in. The end product is Adobe Sensei, launched in 2016. According to their website, Sensei is their AI solution to the artists’ problem. Specifically, Sensei is aimed to tackle repetitive and time-consuming tasks that artists do and will instead automate these actions. The site cites that the AI solution offers “content intelligence” and “experience intelligence.” That means that the AI will learn about the users through their working habits and the quality of the art and content they produce. 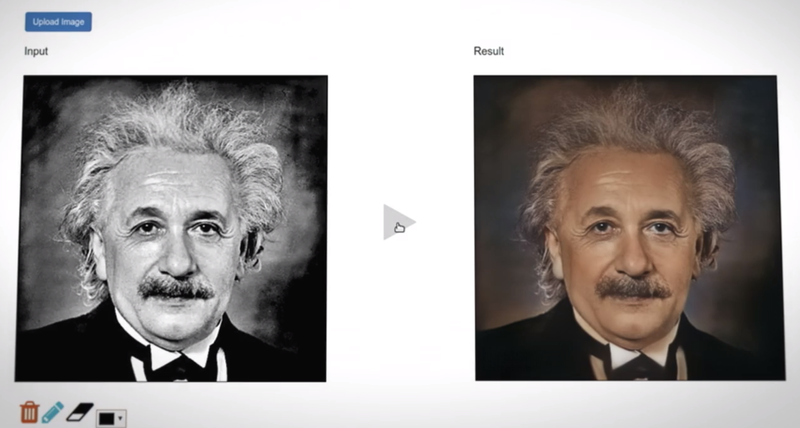 The video in their site also shows how Sensei can recognize image patterns to assist image search. No doubt that such tools will benefit artists. And with such a high amount of content that the Sensei analyze from thousands of users, there’s no doubt that the Sensei can make smart decisions beneficial to the user. If artists can go from creation to application, it already gives them the power to simply everything on their own. if they want to start a business with their art in focus they can literally be a one-person company. And with Sensei, they can improve the already powerful tool for artists and make their work faster and easier than ever. 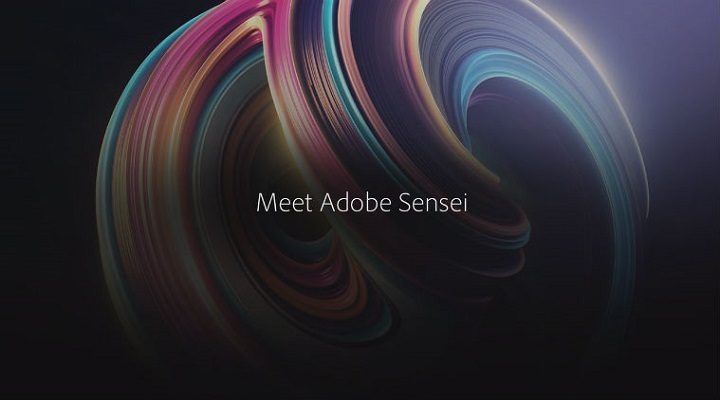 1st Image: Adobe’s Adobe Sensei reveal presentation opener. Via Adobe.